The Bears haven’t had a good safety in so long. So so long. 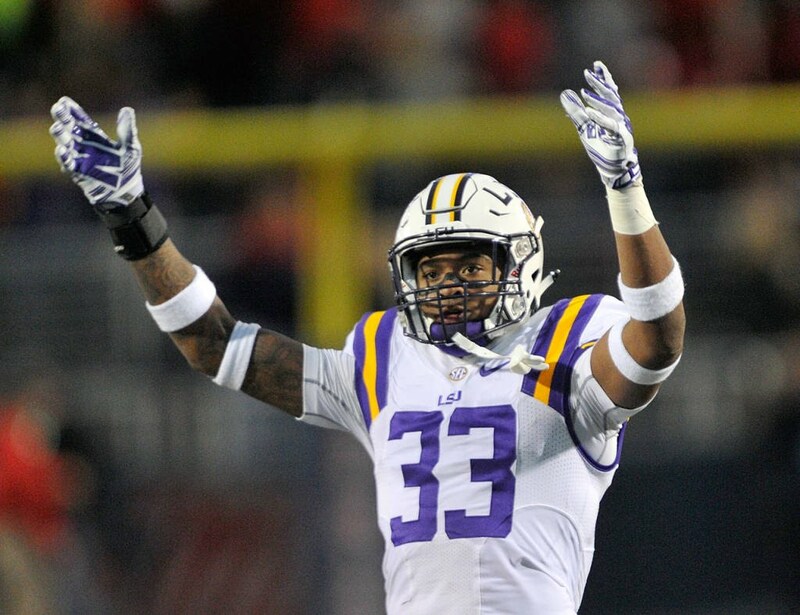 Jamal Adams is a pretty sure thing. Adams fits what the Vic Fangio and John Fox have looked for out of the position because he can play in coverage and drop down in the box. Pro Football Focus rated him as among the five best safeties in the country at both disciplines. The Bears three primary decision makers – Pace, Fox and Fangio – have all put a lot of value in the safety position with past teams and have a very good opportunity to do so with the Bears, early in the 2017 draft. Adams has good size (6’0″, 213), length (33.375-inch arms) and he answered any questions about his speed by blazing a 4.33 40-yard dash at his Pro Day. He glides around the field then strikes when he has an opening. Does His Atleticism Add Up? Adams’ SPARQ score was in the 36th percentile at a position that generally requires excellent athleticism for players to be successful. His improved 40-time would help his SPARQ score but he was average or below in every other athletic test too. Safeties who aren’t overly athletic tend to succeed because of awareness and ball skills, but he had just five interceptions and 14 passes defensed in college. It’s difficult to evaluate safeties because of the way college offenses play. It’s especially difficult to evaluate a safety who had so many other good players around him. We didn’t get to see him on an island that much. If the Bears spent the third overall pick on him, he’d be among the highest-paid safeties in the NFL from Day One. The third pick’s contract is projected to be just above $28 million, which would make Adams the sixth-highest paid safety in the league. I like Adams as much as almost every safety I’ve watched in recent years. He’s a very good prospect, one that belongs in the top half of the first round. But safeties who really make a difference are so rare. I don’t think he’s Eric Berry or Jalen Ramsey. He’s somewhere between them and HaHa Clinton-Dix, but even Clinton-Dix had more ball production in college. I think he’s going to be a high-level starter in the NFL for a decade, but more of a Harrison Smith-level safety than, say, an Ed Reed. And that’s great, but I think the Bears can get better value at a more premium position with the third pick.